In January 2017, I was invited by John Greathouse, a professor in UCSB’s Technology Management Program (TMP) to sit for an interview and dive into my entrepreneurial journey. John’s an established innovator and entrepreneur and I was thrilled to be a part of his Distinguished Speakers Series. 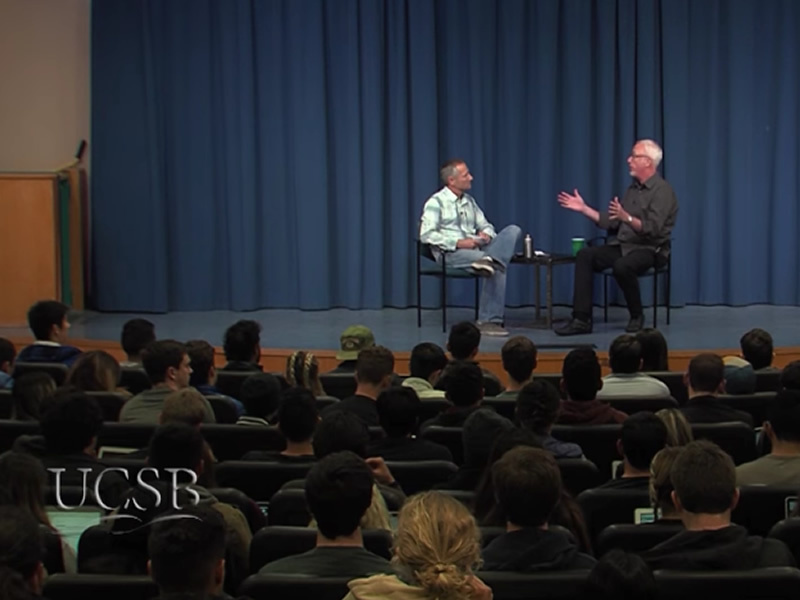 I love this type of casual interview, especially with a full house of students eager to learn and anxious to ask questions. That might be the best part for me, hearing what’s important to them and being able to help them make sense of my somewhat convoluted life path. Technology Management’s Distinguished Speaker Series is one of the program’s premier events. This quarterly series features leaders from academia or industry who have distinguished themselves as experts in their fields. Drawing from prominent academic researchers, experienced business professionals, and successful entrepreneurs this series gives UC Santa Barbara’s students as well as the community the rare opportunity to learn directly from those who have excelled through innovation and dedication to their work. John writes extensively and is published widely. You can keep up with his work here. I had a chance to interview John on my 805Conversations podcast. You can listen to it here. We talked extensively about Corporate Culture, one of my favorite topics. Thankfully another video with Mark and John has been excised from the Internet. We, and some friends, were on the season premiere of Private Chefs of Beverly Hills in the segment called Glamping.